FRAMED PRINT. 22x18 inch (56x46cm) Framed Print with Black Satin with Off-White Digital Mat. 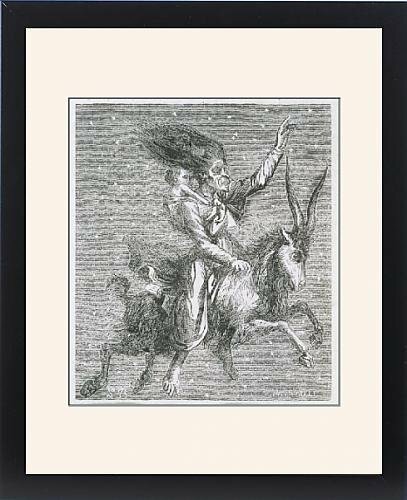 Artwork depicting GOAT-BORNE WITCH. A witch rides through the starlit sky on her goat, carrying a child she has stolen from its mum. Professionally made to order in the USA. Artwork Description... A witch rides through the starlit sky on her goat, carrying a child she has stolen from its mum.